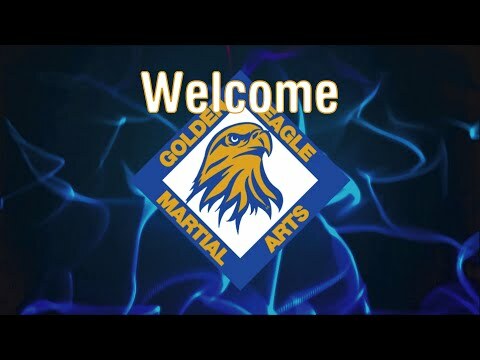 Golden Eagle Martial Arts is dedicated to providing martial arts training to those interested in participating in a lifetime activity of personal development, physical fitness, and setting goals. There are few activities that one can partake throughout our lives that pushes us physically, with reduced chance of injury, while at the same time allowing us to grow in our personal development. We train in Nemuru, a system based on traditional karate and kobudo. We also add to that base many elements from several other martial arts. While honoring the traditions of the martial arts we also evolve our system to adapt to the present in practial self defense and the sport aspects of the martial arts. While we develop the body through conditioning, stretching, and persistent training we also develop the mind through character education. Children learn many valuable lessons about discipline, respect, courtesy, courage, etc. Adults learn about dedication, loyalty, humility, and pride.
" In the warrior's code there is no surrender, though his body says stop his spirit cries never. "